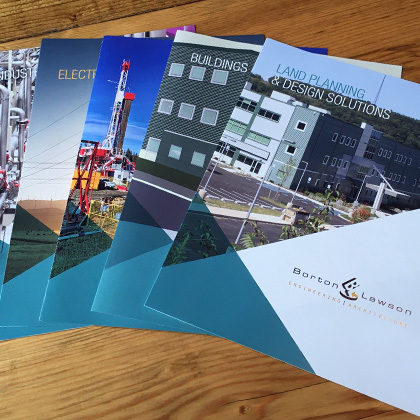 As a top 500 Engineering News Record (ENR) firm, Borton-Lawson is a well-recognized and respected engineering firm among its peers. 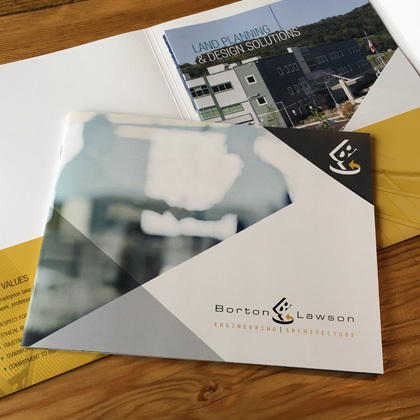 In a crowded industry where firms struggle to stand out and print collateral is often relied upon to leave a lasting impression, Borton-Lawson was looking for a solution that would communicate its expertise in an impactful way. The team at BlackOut worked collaboratively with the firm’s internal marketing team to develop a concept and design for its website and marketing collateral that included brochures, a catalog and folders that earned recognition from the Northeast Pennsylvania Advertising Federation with a Silver ADDY® award and the attention of future clients.